I’m Gracie and with a new-found love of Wildstar I’ll be sharing my experiences in Nexus with any and all passers-by. As of this writing, just following the final closed-beta weekend of Wildstar, I’m likely to be a Mordesh Spellslinger Explorer. In other MMOs I tend to heal butts, but so far I am really enjoying DPS so we shall see what role I end up with at launch. Prepare yourself for stories of questing, dungeons, pugs, and maybe even a little PvP. 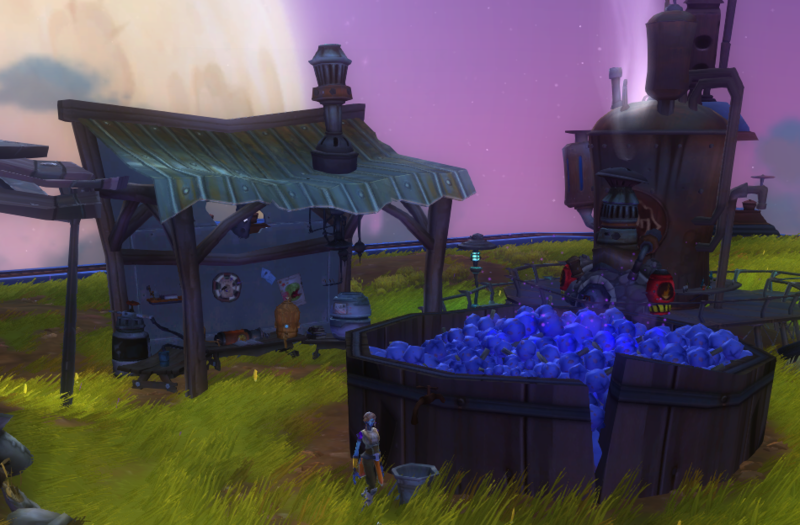 Keep your eyes on this space for some Housing 101 posts in the weeks leading up to the Wildstar launch! Caution! Newbie Blogger at Work! I want to give a shout-out to the folks at the Newbie Blogger Initiative and a big thanks for all the work that goes into it. The resources and encouragement are a big part of why I decided to take the plunge. Thanks!